Rep. Sonya Anderson, a Republican, represents part of Greene County, which includes part of Springfield (District 131), in the Missouri House of Representatives. She was elected to her first two-year term in November 2012. In addition to her legislative service, Rep. Anderson has over 20 years of experience in small business and management. She served as a corporate officer for Rose’s Down Home Cleaning, Inc.; as general manager for Ben Steele Properties; and as a recycling coordinator and accounts payable coordinator for Waste Management of Southwest Missouri. Rep. Anderson currently co-owns and operates Show Me Horses and Farrier Service. Rep. Anderson is a 1988 graduate from Willard. She attended Southwest Missouri State University. Rep. Anderson is a 7th generation native of Greene County. 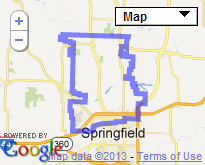 She currently resides in Springfield with her husband, Jim. They have two children, Zack and Tyler.